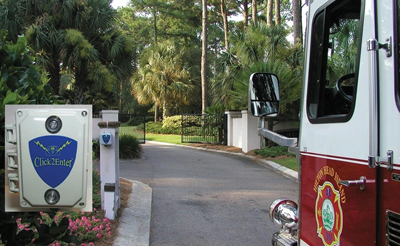 Mechanized gates and access control systems are utilized at most condominiums, gated communities, apartment buildings, and other municipal buildings throughout Florida. Some locations have security personnel on site; however, most gates are completely automated. While automated gates often deter criminals and trespassers, they can also keep out first responders attempting to reach someone in need. If you are a property manager, you have likely experienced failure of a gate operator at one time or another and know how frustrating this can be even on an ordinary day. Now, imagine a gate operator on your property fails, and the failure occurs while a first responder is trying to reach a heart attack victim or apprehend a criminal inside the gates you are responsible for managing. Precious time can be lost due to miscommunication or malfunctioning technology, and this time is critical in emergency situations. Many property managers are charged with the task of organizing multiple keys, codes, and calls to dispatch to ensure community first responders have access to their property. Some gated entry systems rely on strobe lights or noisy sirens to access a building, disturbing other residences. These access methods are far from optimal. Ordinances are being passed throughout Florida regarding access device controls, but some property managers do not consider emergency access procedures for first responders a high priority until a problem arises. There are numerous methods for emergency access to mechanical gates. However, many require additional equipment to be purchased and maintained by the police, fire, and ambulatory services. One development in gate access equipment is increasing in popularity due to its ease of use (Click 2 Enter). This access method utilizes technology which allows public safety officials to enter a gated community by simply clicking their hand-held dispatch radio. Public agencies even utilize this recent technology, including the U.S. Border Patrol, which relies on this method to access gates built into the fencing along international borders. The Clermont Fire Department is another example of an organization in the state which has identified the advantage of this type of technology and is using it successfully. Other schools and municipalities have expressed interest in utilizing the design because of its expedient access. As has been noted, too many emergency access methods employ additional steps that waste precious time when every second counts. This radio frequency technology is the only system that does not require additional equipment to be purchased by first responders because it is operated by the hand-held radio that is already carried by first responders. A key advantage is that this technology allows for cross-over between local, county, and state level first responders, meaning that the closest branch of emergency service personnel to the emergency location can open the gate without a key, a pass code, turning on their sirens, or hoping conditions are conducive for a strobe relay. 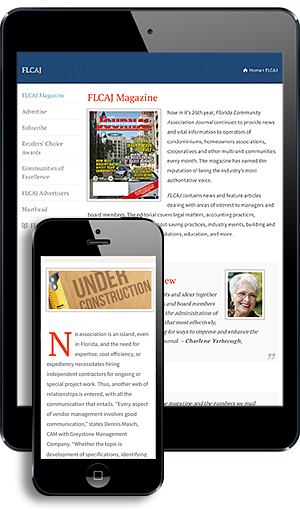 Fire codes are being changed by fire marshals throughout Florida to mandate the use of this type of technology for new construction because of the integration the device provides across first responder services, including fire rescue, police response, and ambulatory services. Building managers should consider utilizing this type of emergency access technology on every gated access point to allow ease of entry for emergency services and most importantly, to help reduce emergency response time for first responders. Property managers and any other individuals interested in learning more about the Click 2 Enter technology described in this article or other access control services offered by GateWorx Inc. should call 1 (800) 397-0502 to speak to one of our experienced engineers. GateWorx Inc. is a full service gate installation and access control company serving municipalities, schools, and HOAs across the state of Florida.